Professional players in the world of sport are expected to be, as they are labelled, professional. With recent events highly publicised in the media, how professional and level-headed are these athletes at the elite level? Are cases of over-the-top aggression becoming the norm? Or due to media coverage are we just hearing more about them? Firstly we start with what a professional athlete can be. Some say they must train and/or play in excess of 40 hours per week. Others state that they have paid employment from an organisation or team. Either way in today’s society it is expected that these professional athletes, whatever the sport or role they hold, are consistently at the top of their game. With the label professional, comes pressure. This can be from sources such as; fans, employers, team members, the media, to name a few. How players deal with this pressure can be seen in every scenario that arises during every event you watch. Some players choke, others thrive. However at this elite and professional level, that we love to watch every week, sometimes this pressure can be released as uncontrollable aggression. This is when your sport suddenly becomes public. Throughout history there have been numerous occasions when players’ frustration and anger has been vented on a global sporting stage. For the purposes of this article we will look at one topical case in particular. Initially it is important to understand that the term “aggression” is not always bad. The old adage “controlled aggression” is a real thing. This is evident every time you watch Rugby, Football, Squash, or any other sport in fact. Players perform tasks that require them to use instrumental aggression, where by the aim is to successfully achieve an object but some form of physical harm may be a by-product, such as tackling an opponent in Rugby. Yes the aim is to stop the ball carrier, but as a result you can cause harm to the opposition. Then, in games such as Rugby, it becomes an intrinsic battle to stop that becoming hostile aggression. This is when the aim is to intentionally cause physical harm. It is the intentional act of causing harm to another person which has recently been seen in high level sport. For example in Super League Grand Final only two minutes in Ben Flower took the law of the game into his own hands. An off the ball incident involving Flower and Saints Wellens, led to the Wigan man receiving a red card for striking an undefended opponent. As a result of this act it sparked a nationwide debate on social media about the justification of the players’ actions. The consensus was deemed that the player went above and beyond any reasonable reaction and force. This in turn led to Flower receiving a six month ban, the longest in Super League history. Why and how did this happen? It’s complicated, only the player himself can truly justify the actions, if there is any justification at all. However we will look at some reasons that could account for this behaviour. Firstly looking into the pre-match schedule being completed by the players and staff is important. The players will need a certain amount of direction and control during the pre-match rituals. This should be a combination of match specific skills and, with a sport like rugby, you would hope for a certain degree of physical contact. Perhaps this was where the player began to fuel their frustrated state? Although from a professional team a vast amount of money, time and effort is poured into these simple things to ensure players are physically and mentally prepared for kick-off. There are no excuses or reasons here; one should be led to believe. The player holds a lot of clues as to whether or not situations like this are avoidable. This brings me back to the point on professionalism. These parts of the game I agree are rare, nevertheless they are remembered. They cause debates and people will write about them. During every situation they are avoidable. Professionalism is at the forefront of what spectators view, whether this in the stands of a sport such as rugby, or on television in the comfort of your own home. You would not expect your Postman to rip up your mail before they deliver it. These flash points are always down to psychology. Are the players psychologically prepared, able, and fit for purpose? Whether their mind sate is that of a professional athlete or not is arguable. It was only at the start of this Premier League season that Morgan Schneiderlin of Southampton declared himself as mentally unprepared to play. He chose to take the steps to remove himself from a situation he could not handle, the correct decision from him at that time. Yet the player may not always see this as the case. This is when the responsibility falls to the staff and people around them to highlight the fact. Being in the greatest possible situation and being professional has its benefits. Access to the finest facilities and staff should lead to the decline in situations like this from ever occurring. Again, with the best will in the world, athletes must be in control of their own actions and ultimately cannot shift the blame for these situations. Having said this athletes being sent off in the opening exchanges of games is nothing new. They go from the controlled environment of the changing room, to the uncontrollable on the field. Sometimes this is dealt with in a poor manor and results in stupidity. In the changing room players go through cycles of emotion, with high arousal and adrenaline among others. When this arousal becomes too much, as stated in Hardys’ (1987) Catastrophe Model, something has to give. Perhaps what was seen with Flower was this release of arousal in a hostile way through violence. Ultimately it is up to the athlete, and them alone to control the way they act during a sporting occasion. In the professional environment especially, players have a duty to respect the game they play. The core values, whatever they may be, must be upheld. A future where emerging athletes feel these situations are acceptable should never happen. All persons involved at sport, at any level must promote the morals of their game. However it is important to understand that from time to time these things happen. It is vital to not tar every player with the same brush and disciplinary boards are in place to deal with such events. But at the end of the day could these situations truly be avoided? Or are they just another part of sport? 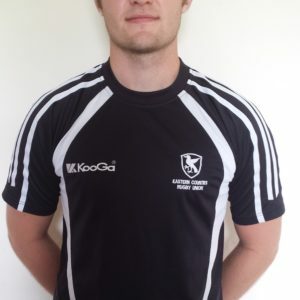 Current University Rugby Union coach and Sports Scientist with an interest in all things sport related, I have worked with Lincolnshire FA and the University of Lincoln. Talent Identification – What are we looking for? Are pushy parents needed to develop elite athletes?